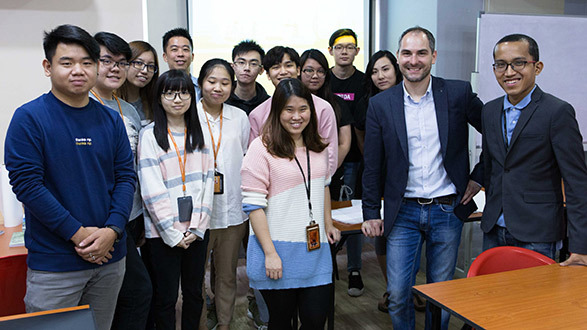 In the latest installation of the Professional Insightful Sharing Session (P.I.S.S), The One Academy Interior Design Department has teamed up with Roberto Braglia, the Senior Lecturer and International Coordinator at the Portsmouth School of Architecture to bring yet another opportunity for students to learn and immerse themselves with industry experts. Braglia coordinates the First Year Architecture at Portsmouth University and is leading a number of units and design studios for undergraduate and postgraduate students. He is a Building Engineer/Architect with professional experience in teaching and working in architectural practice in Europe. Students experienced firsthand Braglia’s take on architecture and the art of building inhabitable spaces through a hands-on three hour workshop conducted at The One Academy. Braglia emphasizes that architecture in the present age revolves around dwelling and creating spaces designed for the future rather than the past. Through the ‘Inhabitable Tetris’ workshop, students became acquainted with conceptualizing and designing modern architecture within given parameters. The session kicked off with Braglia giving a brief introduction on his career as well as the School of Architecture in Portsmouth University. Following that, the students were divided into pairs and briefed about the activity on hand. Inhabitable Tetris, Braglia’s workshop, drew inspiration from the popular game created over 30 years ago but was presented with a modern twist. The idea behind the workshop was to provide students with blocks, similarly shaped to those of the Tetris game, and a list of clients with very specific needs. The interior design students were then tasked with designing a living space tailored for their client. As simple as this task may sound, each pair of students were designated very different clients who range from different age groups, occupations, personality and lifestyle. The challenge then was for each pair to design the living space based on their block but also to ultimately work with the entire group to form a complete building, much akin to the game of Tetris, whilst also meeting necessary requirements of their clients. 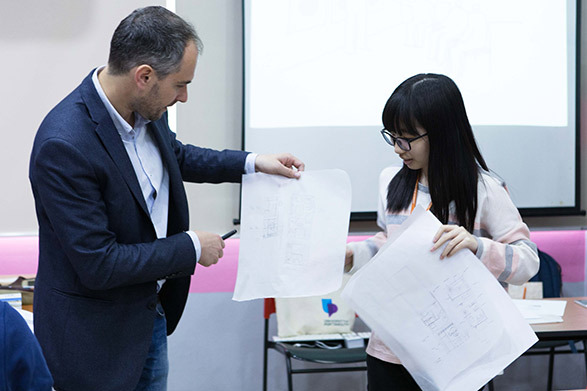 When asked about the motivation behind the workshop, Braglia explained that it helps to hone several very important skills in budding architecture and interior design students. Braglia said “It is not a project to define anything but rather a project to generate ideas”. 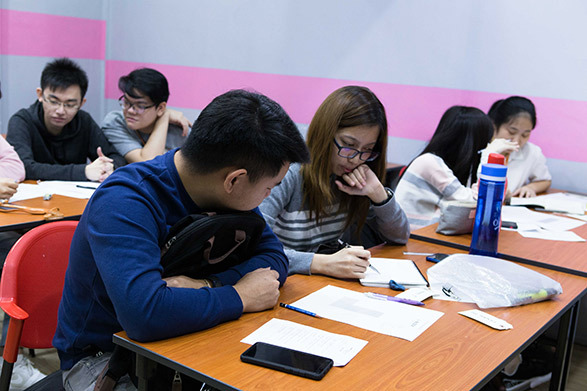 The workshop definitely proved to be a hit as the students found themselves learning how to engage complex clients, identifying design problems and brainstorming possible innovative solutions as well as explore modern design opportunities. The session ended with the students presenting their ideas and designs to Braglia and providing reasoning behind their design choices. Braglia then provided expert advice and feedback on the students work. It was truly a golden opportunity for The One Academy Interior Design students to gain valuable insight into the professional industry and practice of architecture.